I just watched the most remarkable ad on TV. Honestly, after watching thousands of commercials for financial services for the past 20 years or so, this was by far the most memorable. It was memorable because someone actually took a stand. After watching the commercial again on YouTube (to make sure I had heard him correctly), I have to admit that nothing sets a company apart like telling the world where you stand, what you will do and what you just won’t tolerate — especially when your stance is controversial. If you say, “I HATE world hunger” or “I HATE war,” that’s fine, but it’s not controversial or particularly meaningful because pretty much everybody is going to agree with you. Who doesn’t hate those things? 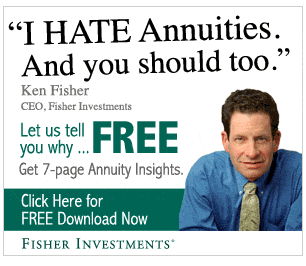 On the other hand, Ken Fisher hates annuities and he’s not ashamed to tell the world. I do not own an annuity, nor do I have strong feelings about them one way or the other, but I have to admit that if someone approached me about buying one now I think I would download Ken’s guide. He’s setting the buying criteria and creating an openness to alternatives by slamming annuities. Brilliant! Here’s what I HATE: marketing and advertising companies that prey on small business owners, that take more than they give, who don’t care enough about their customers and community to do the right thing. I have seen amazing advertising companies that deliver on their promises time in and time out, providing tremendous value to their clients. Unfortunately, I have also seen too many marketing and advertising agencies that take advantage of small business owners who are desperate for more customers, aching to get out of the Barely-Surviving Trap. 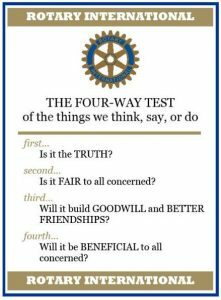 I’m a member of Rotary, and at Rotary we have what we call The Four Way Test. I think that is a good foundation for living, for relating to other people, to running a business. It’s not always easy or expedient, but I’ve never regretted a single decision based on The Four-Way Test. So here’s my question for you and your business: where do you take a stand? Are there things you HATE? Are you willing to make a few enemies? If you do, your potential customers will recognize where you’re coming from. 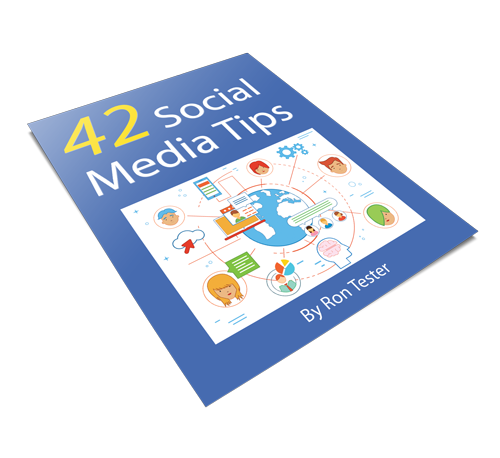 Many in your audience will resonate with your brand and will be much more likely to do business with you. True story: back when HMO’s were first coming to prominence, a friend of mine who graduated from Wharton told me, “You could start an organization called ‘I HATE HMO’s’ and people would pay $10 a year just to belong. No other benefits. They hate HMO’s that much.” I didn’t start that organization, but I believe he was on to something. Comment below and tell me where you stand, what you’re not willing to stand for any longer, or what you hate. Don’t be shy. What Does the World’s Classiest Truck Stop Have to Do with Your Marketing Message? Let me send you my best stuff!